Another array camera? I have seen a few in the lab and to be quite honest I have not seen anything compelling from a 2D image quality standpoint (lots of crosstalk and color bleeding) and all the promised gee-wiz features (3D, post capture focusing, etc.) never live up to the slide deck. 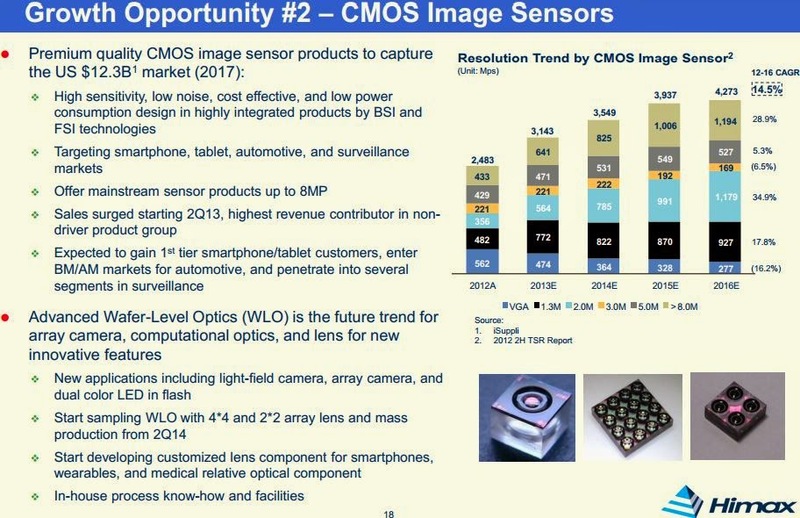 That being said Tessera-Digital Optics was pitching this same technology (WLC and array camera) over half a decade ago, and Newport Imaging Company was funded a bit longer ago than that, with their main asset being on being shut down a key array camera patent. I wonder where all these different patents ended up? Wunder what ST is doing here.. Himax should be capable to operate all aspects without them... And indeed another array solution. did they solve the parallax issue of these camera's? Guess not. Did anyone see already a picture of the Heptagon 2x2? Or a movie from it? Having worked with Himax in the past, I can tell you that this is all marketing with very little technological know-how behind it. They have no core process knowledge to speak of, and their ability to keep on target is horrendous at best. The fact that Google uses them for the Glass product has to be an oversight on their part or at least explains the terrible execution and time to market of that particular gem of technological obscurity. You worked with Himax in the past? In what capacity? 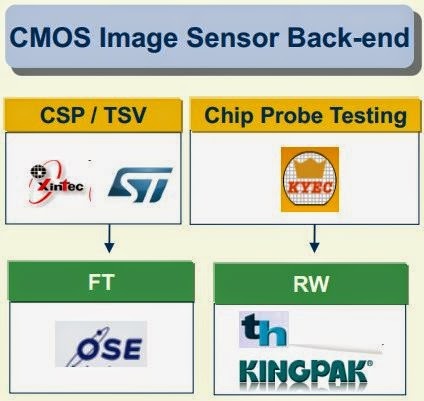 Did you know they QC tested mass produced units and are set to begin shipping in 3Q14? As far as Glass, can't point the figure at Himax. Google is holding things up as well and probably were just waiting for Front-Lit LCoS.